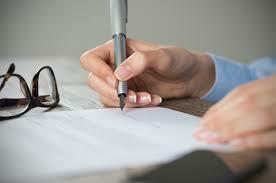 Once we have agreed the funeral arrangements with a family we will provide a written confirmation of the instructions received and a detailed estimate of the funeral costs. Costs include those for our services and those that we will pay out to other parties (such as cemeteries, crematoria, newspapers and florists) on the family’s behalf. We ask that these third part costs (or disbursements) are paid to us at the time of arranging the funeral, while the final account balance is issued within two weeks. Payment is requested as soon as the family is in a position to settle the account normally within 30 days. These costs are dictated by the individual family requirements and can vary from €1,750 to €7,275 and upwards. Offering to Church; from €200. Thus, monies paid out by Fanagans at the time of the funeral could range from €1,950 to €7,000. It is company policy to request that the family contribute towards the disbursements as practically possible. Combining the Fanagans costs and the payments to third parties, the cost of a traditional funeral can range from €2,950 to €7,500.